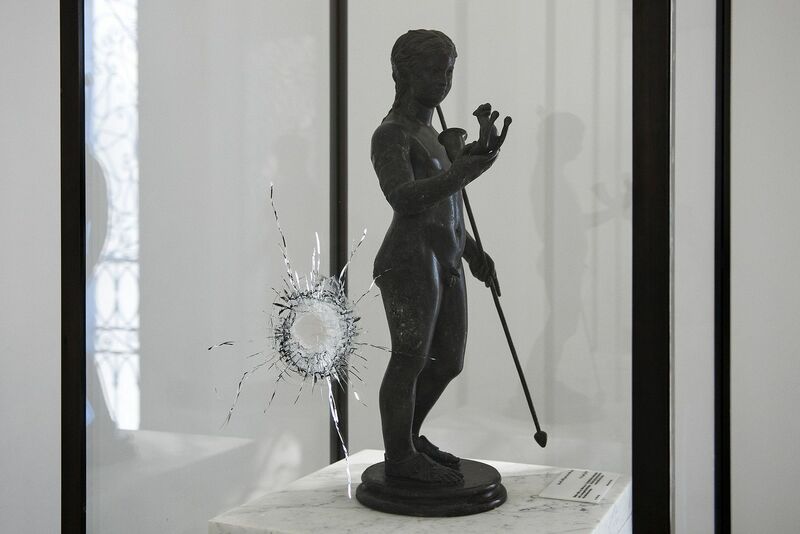 Started in 2015, the “Wounded Archaeology” project has since given birth to some important cultural events organized by Fondazione Aquileia in collaboration with the National Archaeological Museum of Aquileia, which belongs to the museum system named Polo Museale del Friuli Venezia Giulia. 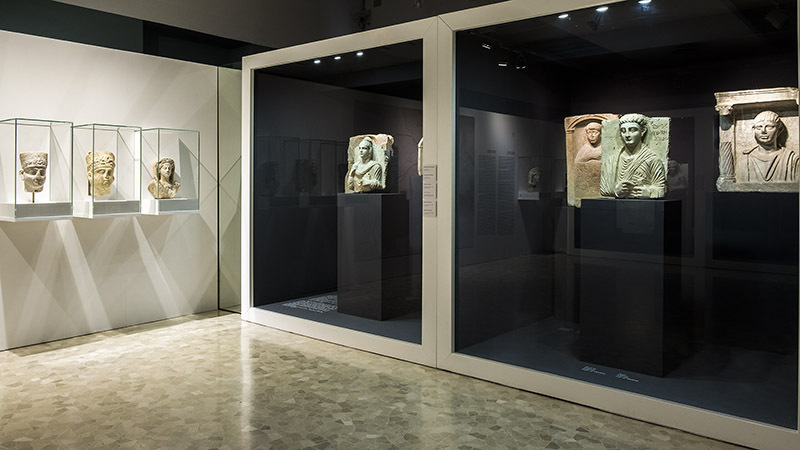 The cycle of events started with the exhibition “The Bardo Museum in Aquileia” held in December 2015 and featuring remarkable archaeological exhibits from the Bardo Museum of Tunis. It continued in 2016 with “Lions and Bulls from Ancient Persia in Aquileia”, an exhibition of rare objects from the museums of Tehran and Persepolis. 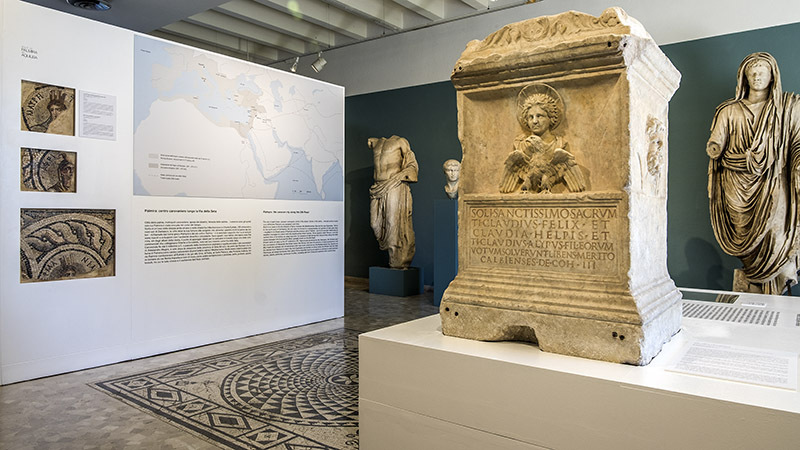 The third exhibition followed in 2017 to bring to Aquileia some important artefacts about “Palmyra” from the museums of Jerusalem and Rome, as well as from the Custody of the Holy Land of Jerusalem. The objective of this ambitious project is explained by the President of Fondazione Aquileia, Antonio Zanardi Landi: “By bringing to Aquileia – a symbolic place and one rich in significance for most of Europe – some exhibits from the museums and sites severely damaged by violence and fanaticism with a cycle of exhibitions we have named “Wounded Archaeology”, we wished to raise awareness on the values of coexistence and tolerance, which we firmly believe to be the true essence of Europe and of European identity. Also, we wished to give our contribution to the “cultural fight”, the only viable tool for us to overcome and win over the fanaticism and violence we are seeing rise around us”. In 2018, because the National Archaeological Museum was temporarily closed and could not accommodate a new exhibition, Fondazione Aquileia conceived the publication of the book "The story of Jonah. 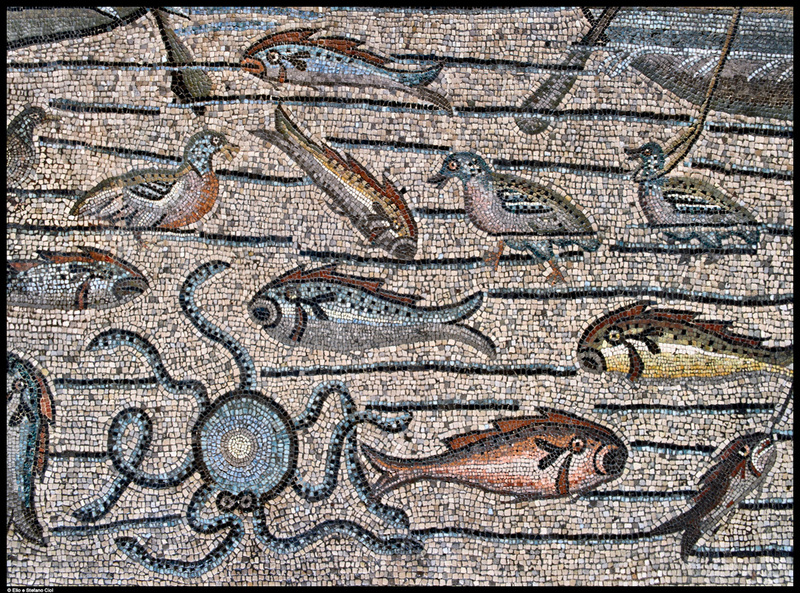 In the mosaics of the Basilica of Aquileia", with Allemandi publishers. This beautiful extra-large book featuring the pictures taken by Elio Ciol 25 years ago connects the mosaics depicting the story of Jonah on the floor of the Basilica of Aquileia to the destruction by ISIS of the first large place of worship in Mossul, that is, the Mosque of Jonah (Yunus in Arabic) and the prophet’s tomb. The intention of this publication is to highlight that the primary target of fundamentalist terror is destroying the very symbols of the three leading monotheistic religions, with a view to eradicating all signs of dialogue and coexistence. Jonah is a recurrent character in the Book of Kings of the Bible, in the Gospels by Luke and Matthew and in four Surahs of the Quran. The publication contains remarkable essays by Cardinal Ravasi, Carlo Ossola and other authoritative contributors.